This fine brush is traditionally crafted with the highest quality pure Kazan squirrel hair. Kazan squirrel hair is the finest and softest available. This mop holds the largest amount of water while maintaining a fine point. 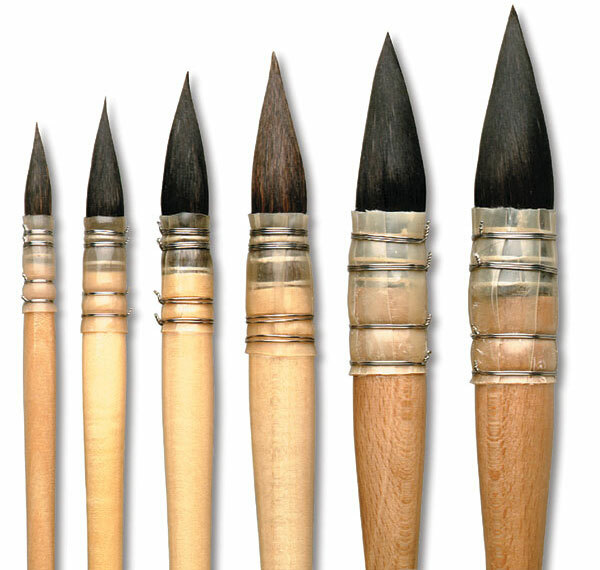 All sizes are hand cupped in the ferrule and secured with wires to a beautiful wood handle. 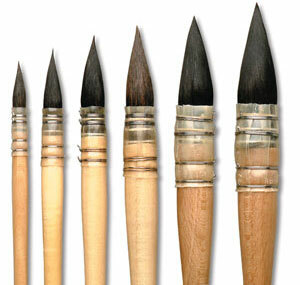 This brush will point up for delicate, fine work or it may be used as a mop for broad watercolor wash strokes.